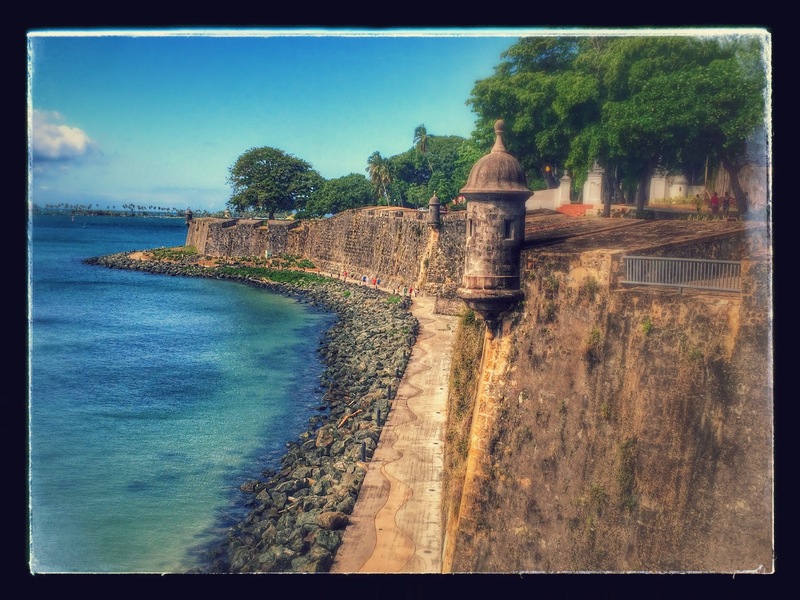 We had to leave for our flight to our first new country of the trip, Antigua and Barbuda, around 1pm so we soaked up as much San Juan as we could beforehand. This was the view from our hostel's balcony. Not too shabby. Those little turrets sticking out from the city walls are a symbol of Puerto Rico, and are featured on many of their license plates. Our flight was at 3ish, so being the responsible travelers we are we left the hostel around 1 and arrived at the aiport around 1:30. We wouldn't actually board a plane until 10:30ish. Our taxi dropped us off in the wrong place to begin with, so we waited in this strange line to get in the airport for a little while before we wised up. Well Liat gave us an especially horrible version of the airline runaround. They delayed our flight multiple times and in time chunks that were just short enough that we didn't want to leave the airport. They made zero announcements during the 9 hours we were there. The only information we received was through other passengers or from waiting in line at the ticket counter. It was really insult to injury. There was some problem with the flight attendants not wanting to work overtime. Blah blah. We made it to Antigua and Barbuda so late that the rental car place was closed, so we apparently still have to pay for a rental car day that we didn't use. It was a mess. It was particularly scary because we would be flying Liat again multiple times in the coming days. By the end of all the yelling and BS two of the airline desk ladies were crying. We got very familiar with the airport during our abundant free time. Kinder Eggs are the best things ever. The only free power outlet we could find was on the floor next to this USDA beagle brigade car. Here's the pilot trying to explain why it's not his fault this airline is so bad. We made it to our hostel in St. John's, Antigua and Barbuda around 1am. The manager was whining that we were supposed to have checked in at 5pm and I was thinking "back up or I will cut you!" Doing hard time at the airport changes a man. We Made It to Puerto Rico!